One Less Headache: Fun spring lessons for math, literacy and art! 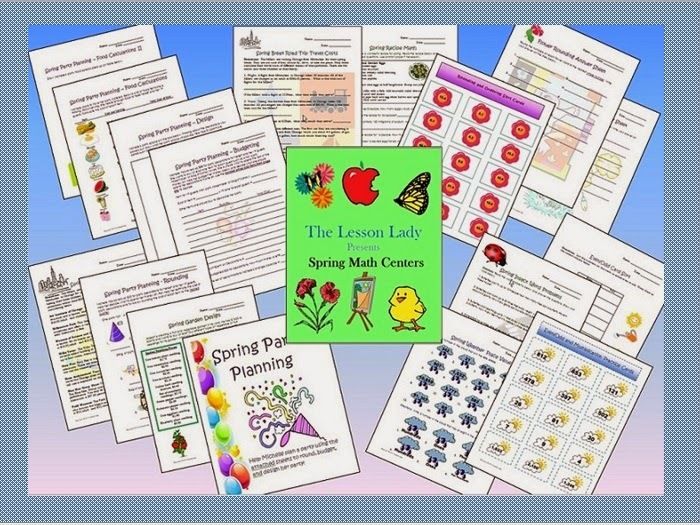 If you are in the mood for fun spring lessons you may want to check out these packets that feature math, literacy and/or art. They all have a variety of fun and colorful graphics that will make you and your students in the mood for spring and are good for late elementary students. 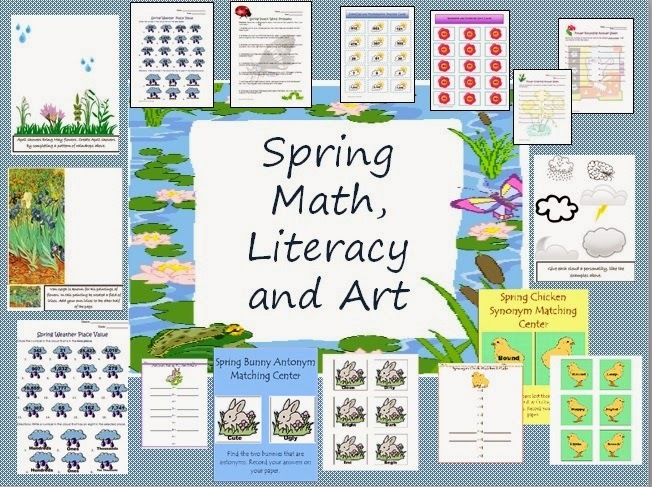 If all of these packets interest you you can purchase my Spring Math, Literacy and Art Bundle that combines all subject areas for a discount. 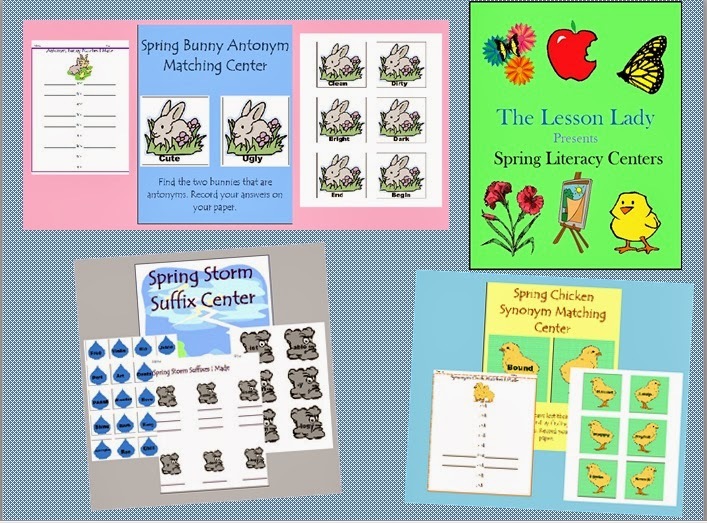 My Spring Literacy Centers focus on writing, synonyms/antonyms and suffixes/prefixes. Individual centers are also sold separately if you plan on focusing one skill in particular. My Spring Math Centers include 10 spring centers that focus on multiplication, division, rounding, simple decimals, money, addition, subtraction, and place value skills. See more by downloading my preview. 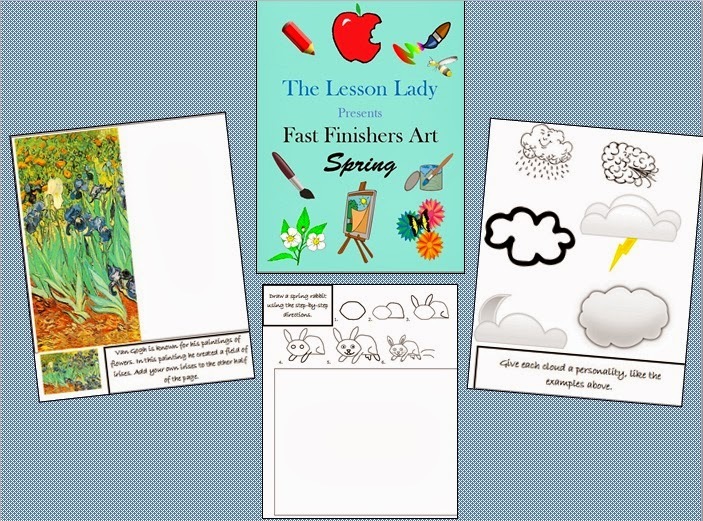 For a fun art activity for the fast finishers in your classroom or for a quick sub activity check out my Fast Finishers Art for Spring. Included are a pack of drawing pages that encourage creative thinking that are based on spring and my best selling Fast Finishers Art Pack. Have fun and enjoy spring in your classroom!